Legal disclaimer: The information in this article is for informational purposes only and not for the purpose of providing legal advice. You should contact your attorney to obtain advice with respect to any sort of prenuptial or postnuptial agreements, or any other legal matters. Maybe you’ve read through my last post, and noticed that I seem to focus a lot on worst case scenarios – I’m proposing that we all write wills, have healthcare proxies, write prenups … what’s the deal? Aren’t wedding planners supposed to be all about rainbows and tulle and everlasting love? Well, I’m sure some folks could dive deep into my psyche to figure out where all this comes from (possibly from being a child of divorced parents) but regardless of the source, I have a deep interest in learning how to build and maintain happy, loving and lasting partnerships. By all accounts, one thing that helps in building a strong marriage is open and honest communication…and that’s where prenups come in! In this post, I’ve decided to try to guess all of the reasons you may be against getting a prenup, and then do my best to argue the opposite…. here goes! I don’t want a prenup. They’re only for people who don’t think their marriage will last. Here’s what two different lawyers I interviewed said about prenups: everyone has a prenup. You either have created your own, or you have the divorce law of the state of New York (or whatever state you’re in), which functions as your prenup. Getting married has legal ramifications – but writing a prenup is about choice & the autonomy to write your own rules! So to answer the first point – basically, without writing a prenup, you’re just agreeing to the law of NYS sight unseen. As for the second point – it’s not all about divorce. Yes, there are elements in a prenup about what would happen if you and your partner went through a divorce at some point – but it’s also about charting your financial future together, putting in place protections for each other (e.g. wills, healthcare proxies and trusts) in case anything were to happen to either of you, and ensuring that you are entering into your marriage with full financial disclosure. Prenups are like getting home insurance. Just because you get the insurance doesn’t mean you think your home will burn down. It just means that if anything happens, you already have a plan in place. And plenty of people get home insurance and then never have to use it! The same idea applies to prenups. And I truly believe that going through the process of really figuring out your financial future and goals strengthens your relationship, and probably makes it less likely that you’ll have to use the prenup at all! But aren’t prenups all about messy legal fights & aggressive lawyers? They don’t have to be! The collaborative law process for prenups approaches these agreements in a radically different way than the traditional adversarial approach. First – in collaborative law, couples are coming together to create an agreement that works for both of them in an open, respectful, positive and orderly environment. 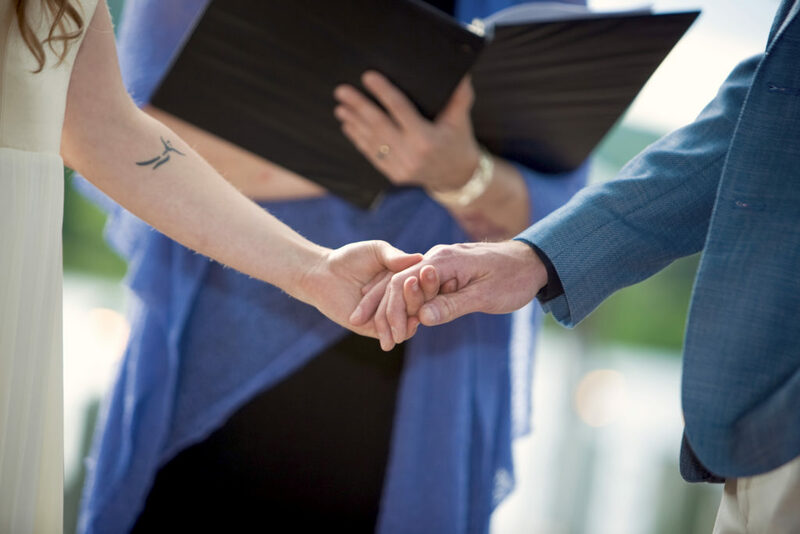 All four parties involved – two lawyers and each half of the couple – sign a collaborative participation agreement, ensuring that everyone adheres to agreed upon principles throughout the process. Once everyone has signed the collaborative participation agreement, those same lawyers are disqualified from representing the couple in case of a court dispute or contested divorce. That allows the prenuptial process to be carried out in a safe space, since what you say during the process of writing the prenup can’t later be used against you by either of the lawyers that helped you write the initial agreement. The lawyers and the couple then work as a team to come up with creative solutions to meet everyone’s needs as best they can – in the collaborative process, a prenup is built from the bottom up, to meet the goals and priorities of the couple. The process also allows for honest conversations in a supportive environment, and gives the couple experience in how to reach compromises and practice compassionate listening when discussing difficult topics. Won’t all my friends and family think this is all about money/not being sure of our relationship/etc…etc…? This is a private process, between you and your partner. No one else has to know you’re writing a prenup if you don’t want them to. That said, I think it can help build a strong and healthy foundation for a marriage, and there’s no shame involved in writing one. So, should all couples go out and write a prenup? Not necessarily! The laws in place in NYS might work just fine for you and your partner – maybe you already have a financial plan in place, or already have wills – and it’s possible you don’t want to opt out of any of the existing laws that are part of the default prenup. I’m making the case for being fully informed and and knowing what you’re getting into – you can’t know if writing prenup is the right option before you know what your options are. OK… I’m a maybe. How can I find out more? Schedule a consultation with a lawyer that practices collaborative law and works on prenups! I’d recommend finding an attorney that’s listed on the website for Ithaca Area Collaborative Law Professionals: http://collab-law.com/participating-professionals/. I’m getting married next year/next month/tomorrow. Is it too late to start the process? How long a prenup takes to write up really depends on the needs of each couple – most couples will likely need 2-5 group meetings, so it’s a good idea to budget at least 10-12 weeks. However, more complex agreements could take longer. That said – let’s say your wedding is in two weeks, or you’re already married. You still have the option to write a postnup (it covers the same elements as a prenup, but is written…. (you’ll never guess!) after the nuptials).